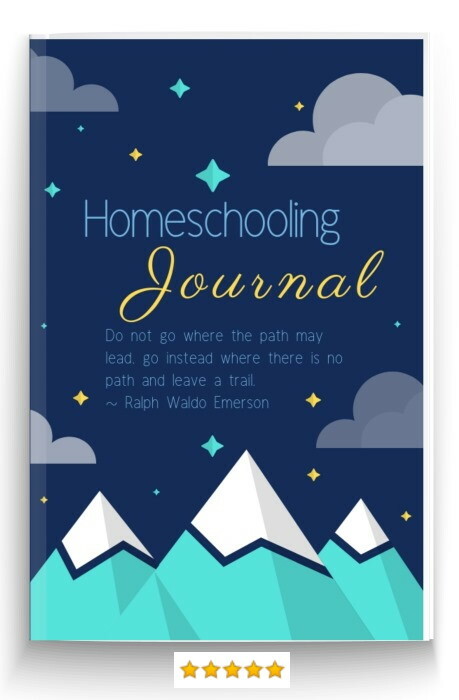 Homeschool math can feel a big step for you as a parent even if you're confident you know the subject well. 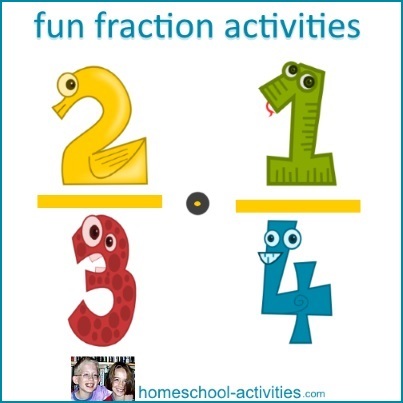 You'll find lots of ideas and activities to make numbers part of real life. If you like using free math worksheets, you'll see our guide to the top three. I've also given our guide to the top math websites. 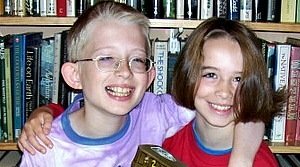 For us, the secret of success with homeschool math has definitely been to do lots of practical activities with the kids. That includes trying out lots of fun number activities. All kids are different when it comes to learning numbers, especially when you're trying to learn the math times tables! I've brought together lots of different activities and ideas to help you find the method that suits you best. 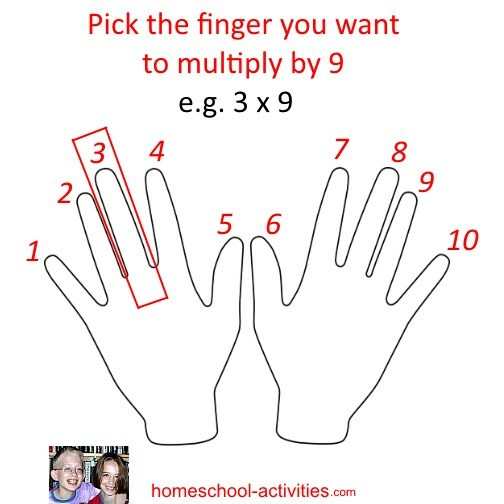 You can also get a free printable so you can work out how to use your fingers to do the nine times table! There can be few more traumatic experiences for some kids than answering worksheets on fractions; I can remember the awful feeling of sheer dread even now. 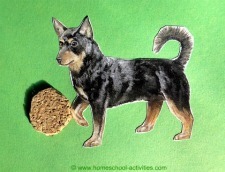 See how we've used homeschooling games, candy bars and even a child's watch to bring parts to life. 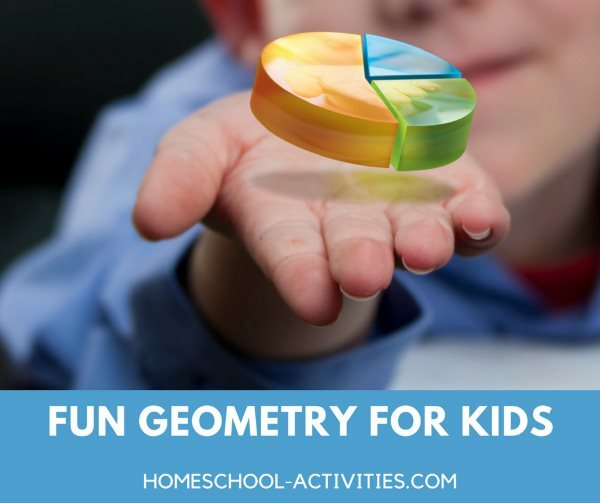 We've used a similar approach with homeschooling Geometry activities. 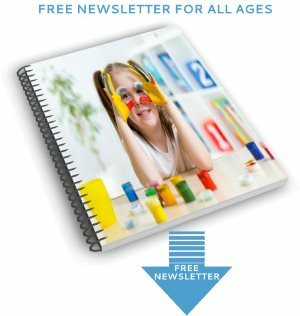 When it comes to math worksheets, 3-dimensional objects rely on your child having a good understanding of shapes. So why not have some fun and try making some? 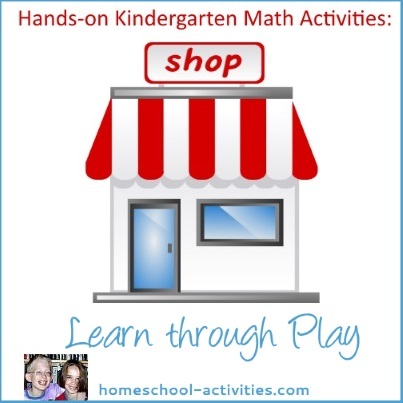 You'll find lots more ideas for all sorts of homeschooling Elementary Math. 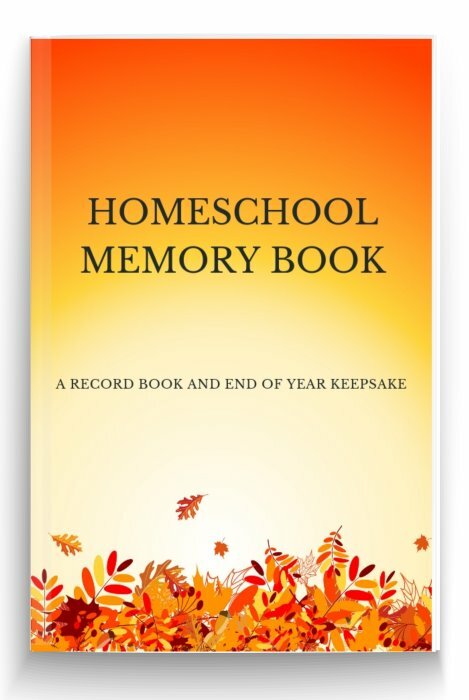 Number worksheets for kids are only fun when your child has done lots of other homeschooling projects which make figures easy to understand. Free computer games and software can make numbers easy. The problem is in trying to find the right website! 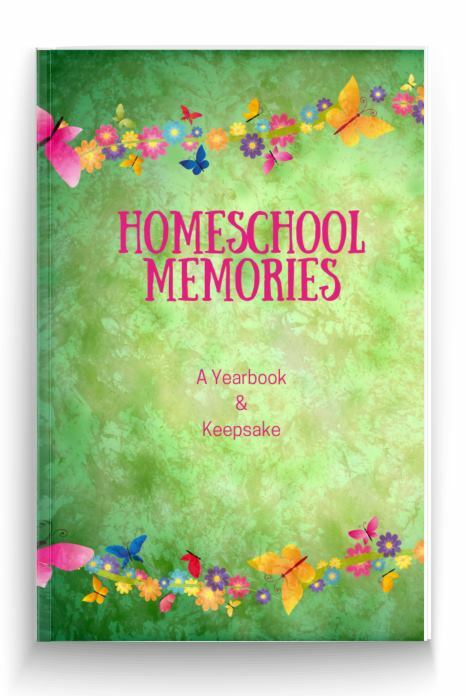 Come and see our homeschooling favorites. Got a website your kids love? 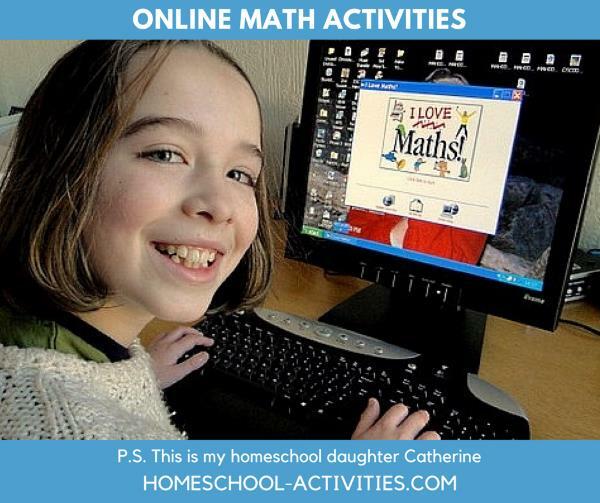 Tell us your best Online Math Games For Kids. 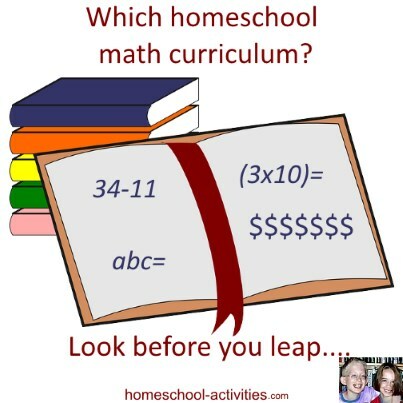 I've written a Homeschooling Math Curriculum Guide to give an overview of all your options. 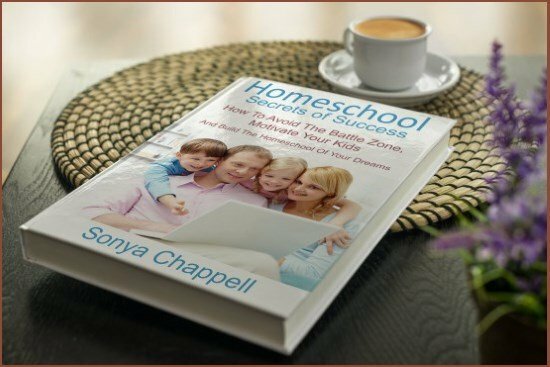 I suggest what to look out for before you buy and then cover the most popular homeschool curriculum choices. 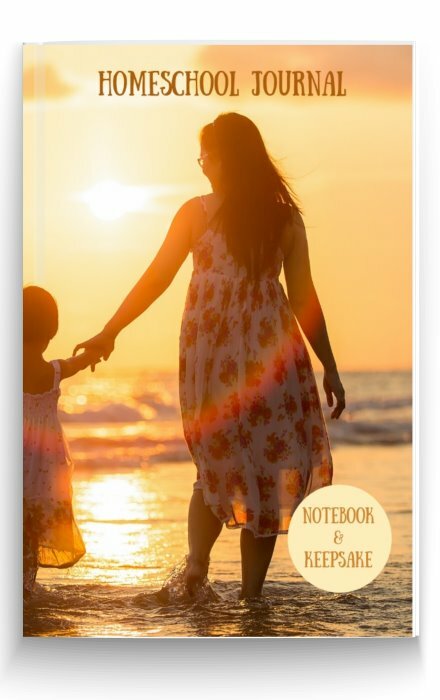 Finally, Christmas may not seem the time to get out the free worksheets for kids, but maybe we can surprise you. A relaxed, fun time with all the family doing Christmas Activities can do a lot to restore your child's confidence. And, if you know your stuff, it can actually be very rewarding to see a long line of ticks on your worksheets, even over the holidays! 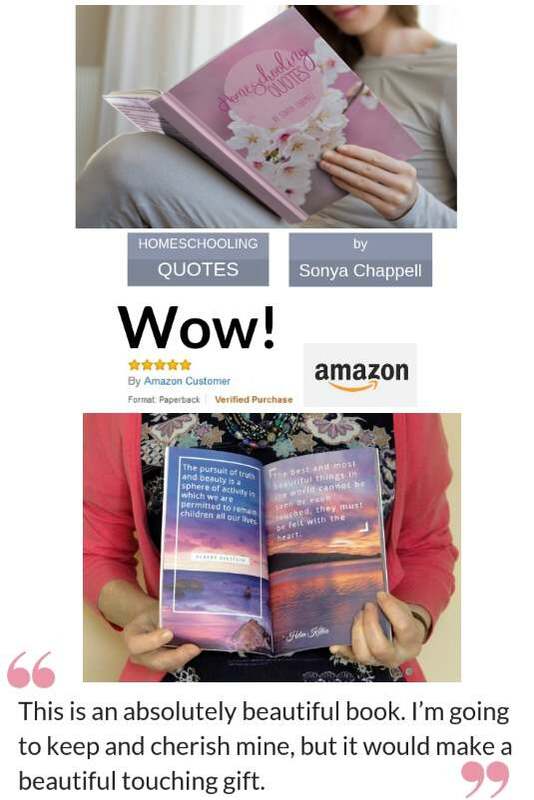 I am on an exam forum for homeschoolers in the UK and ConquerMaths gets an overwhelming thumbs up from homeschooling parents. I found out that there is someone on the HE exams forum who organizes a discount for members. It's recently gone up a bit to £41. Please contact me and I'll dig out the details for you. 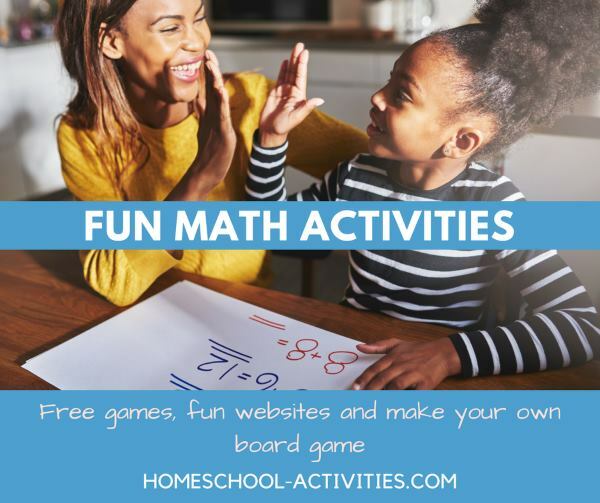 If you've spent time doing lots of homeschool math activities with your kids, you can be more confident that free math worksheets will simply re-enforce the feeling that numbers are easy. And that feeling of being definitely right is a good one! 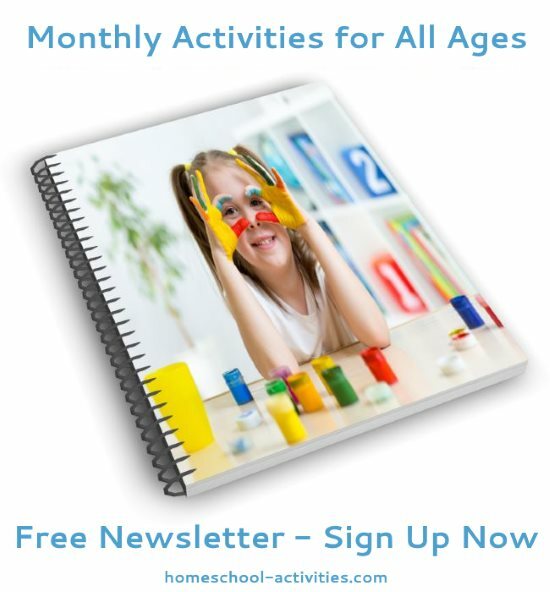 Downloadable free worksheets which are randomly created and cover lots of topics. 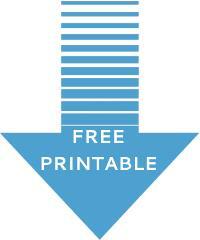 You also have the ability to design your own free worksheets. Free Math Worksheets. 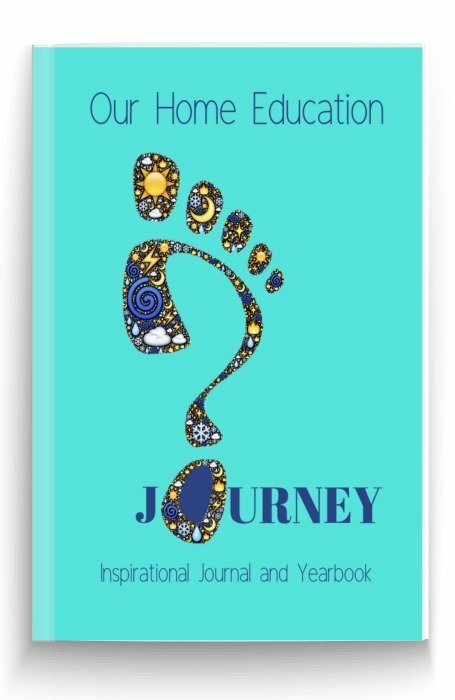 If you want interactive, online worksheets for all Grades, this site has it. You can set the length and level you want and whether you want to time each task. Large variety of topics from calculus to money. SuperTeacherWorksheets Free math worksheets on a range of subjects including time, geometry, and fractions. 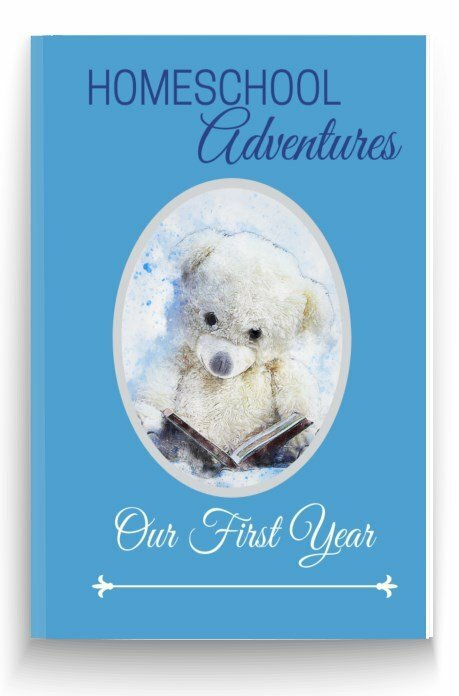 Clear, straight forward and downloadable as PDF files. You can see more suggestions for free printable math worksheets here. 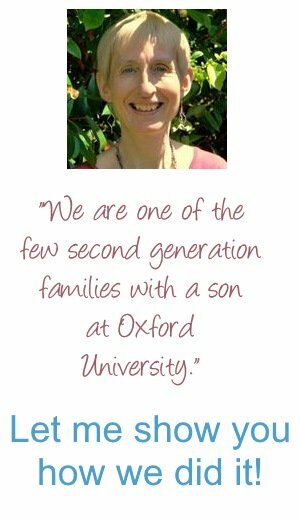 Sometimes teaching maths at home can be hard work and you need some homeschooling encouragement. "Hi everyone!! Having a little struggle here and need to read your thoughts or advice about it. My girl (13yo) hates math! I've tried almost everything. She doesn't like the online class, she prefers books. I give her 30 min to complete the task, and it takes her an hour or more sometimes. Frustration is about to get me." 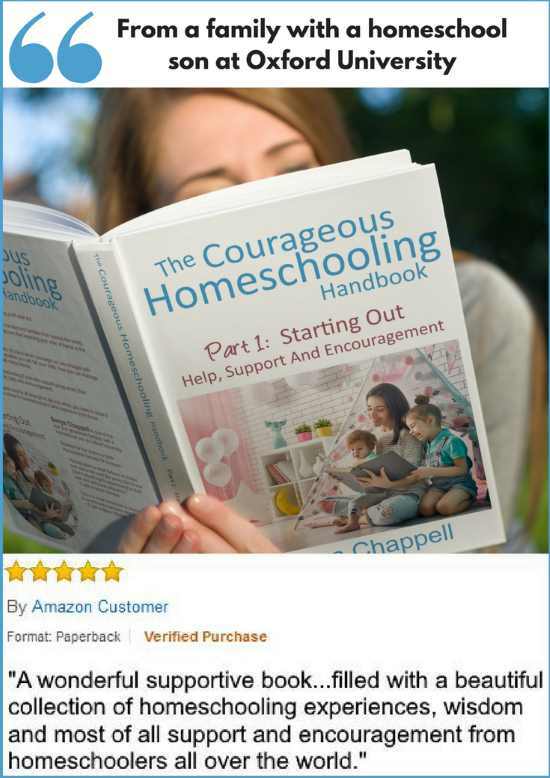 Carina is in my Courageous Homeschooling Facebook Group where we give each other support and encouragement as we go through our homeschooling days. 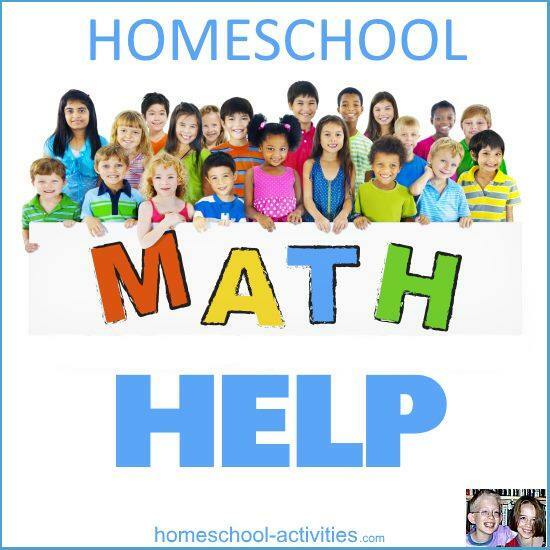 You can see real-life answers and suggestions from other homeschoolers who know exactly what she's going through in this page on homeschool math help. 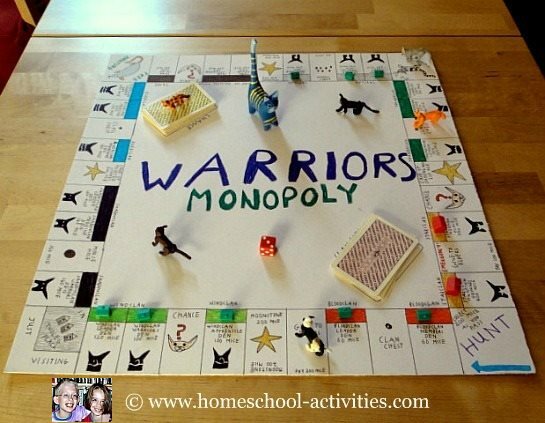 You can also get the chance to do fun things like make this homemade Warriors board game! 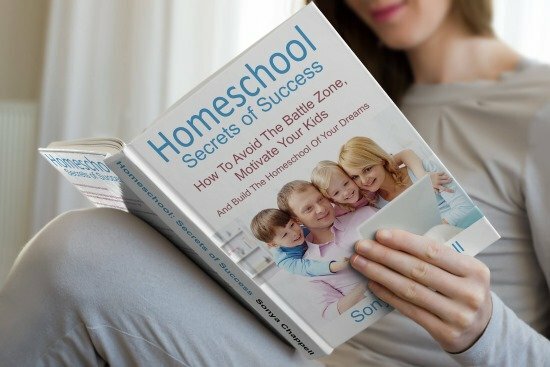 That gives you the key to successful homeschooling because you can avoid the feeling of failure so common in putting kids off math. 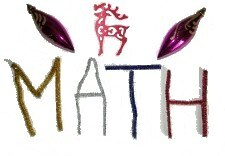 Have a look at our fun math page for more ideas. 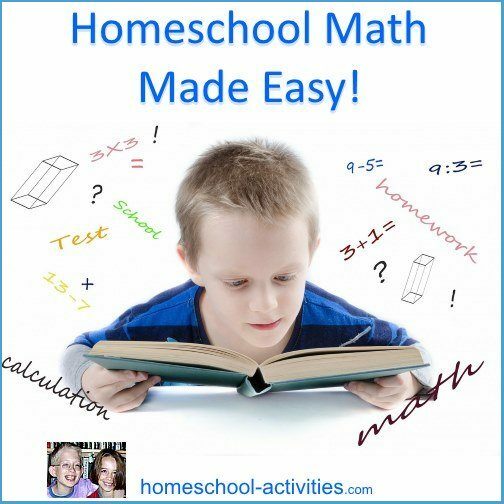 Homeschool math can be a challenge but it also offers the best way to teach your child.